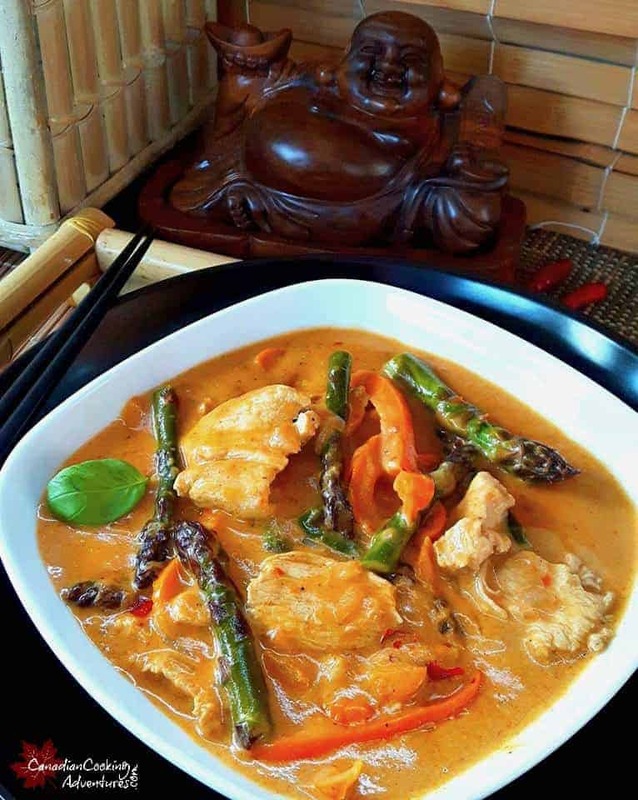 Red Thai Curry could not be any simpler than this! 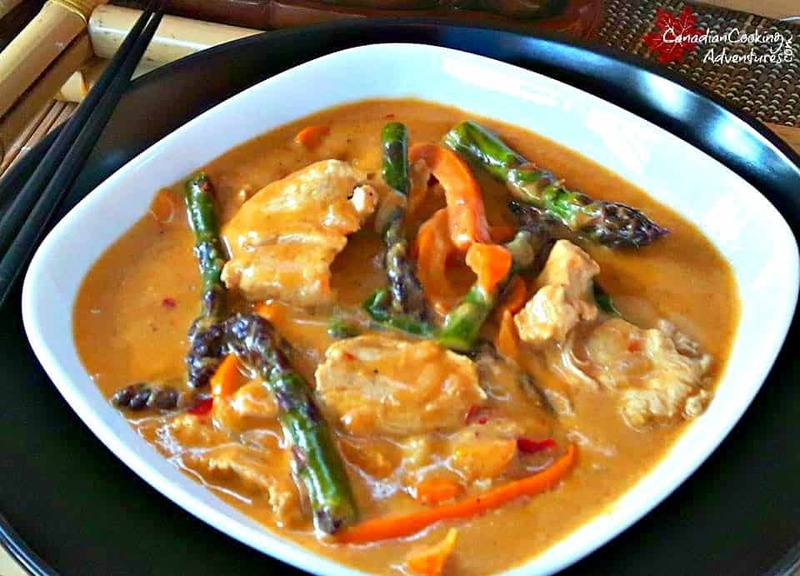 This Thai Red Curry with Chicken also has orange peppers and asparagus in it and is absolutely delicious! 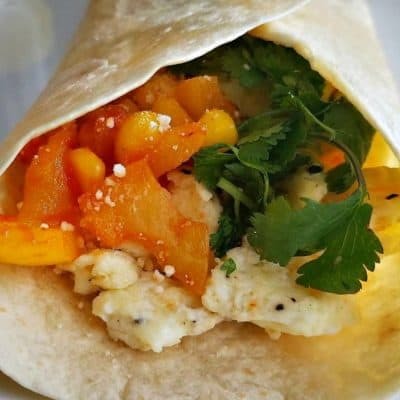 I felt like experimenting a little today and so instead of using one can of coconut milk, I used two for this recipe. One can typically serves two people for dinner, two can’s four. Being I adore Thai food, I had 3 bowls to myself. Over the course of two days that is and my partner had one the night I made it for dinner. Needless to say it worked out great and I will definitely be doing that more often. 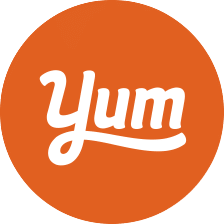 It just came out slightly thicker than usual and I can definitely say it tasted really good. So if your wanting a thicker sauce, I encourage you to do the same. Otherwise one can of coconut milk works too. 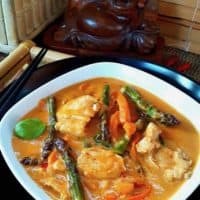 Indie says don’t let the unknown ingredients in this recipe scare you, because this Red Thai Curry is super simple to make. 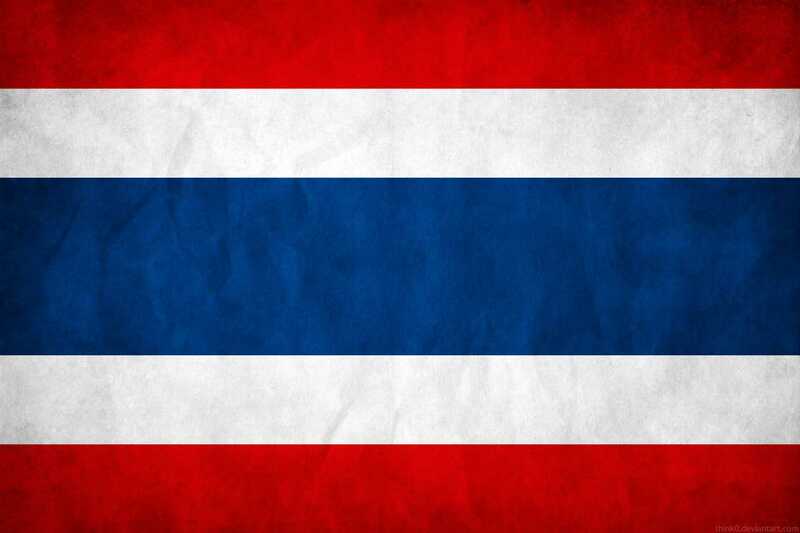 And that is because we are using a product that contains all those Thai ingredients already in it. 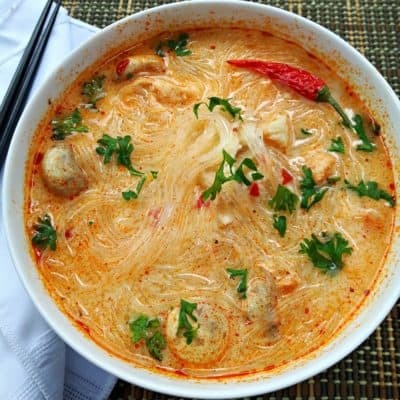 Such as “Kaffir lime leaves”, Lemongrass”, and “Galangal” among other special Thai spices. 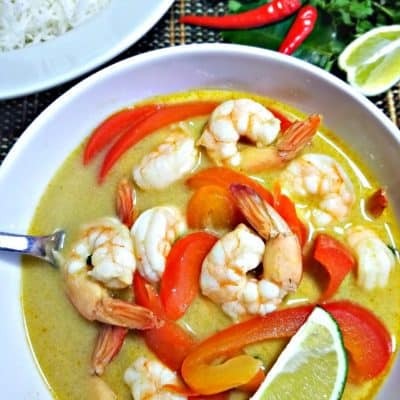 So you have two options when preparing this dish, either you can make it from scratch with the traditional Thai ingredients. 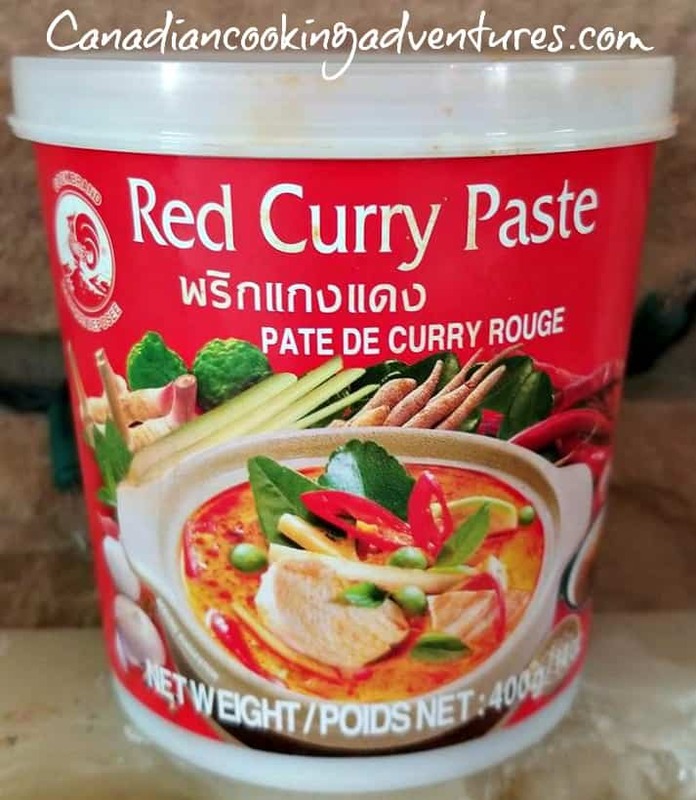 By crushing it all together in a mortar or you can buy the premade “Red Thai Curry Paste” which has all this in the paste, and is much easier. This is the method we recommend, as it’s much easier. 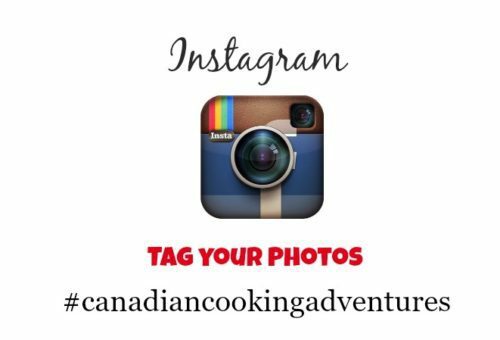 We hope you give it a try, and let us know how it turned out for you. 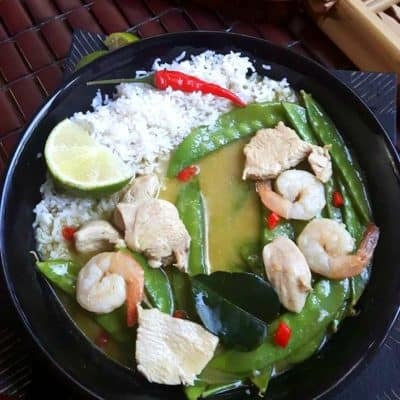 To make this popular curry you will want to get your hands on soe fresh “Lemongrass”, “Galangal” and “Kaffir lime leaves” which can be found in most Asian stores. 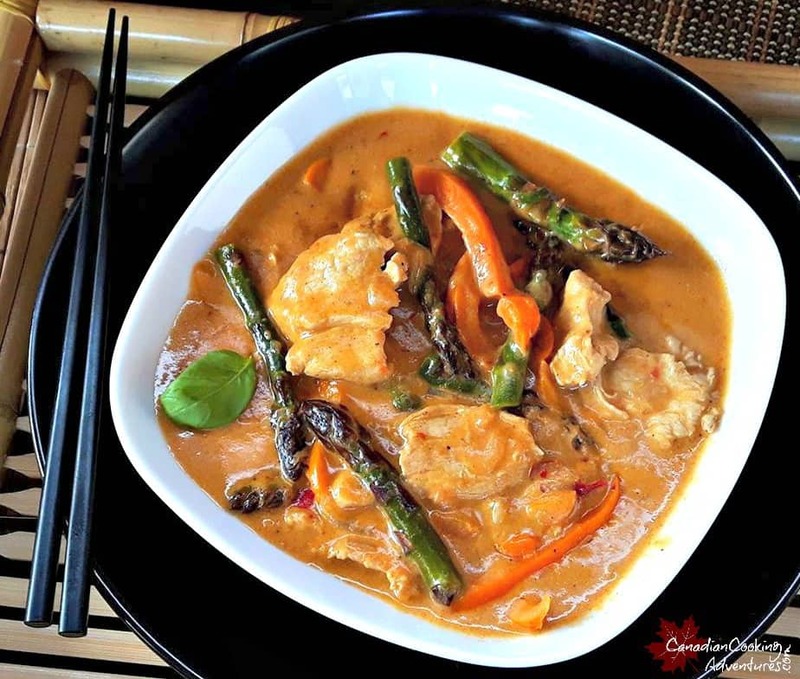 Or purchase the pre made “Thai Red Curry Paste” which can also be found in most Supermarkets, Thai Red Curry paste has all the above ingredients in it needed to make this dish. 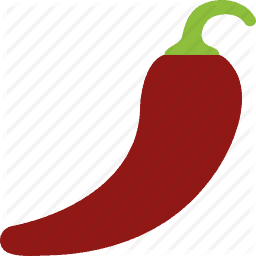 Then you will want to add in the lime last, you do not want to cook the lime because it will ruin the flavor. Also if using fresh “Lemongrass”, “Galangal” and “Kaffir lime leaves” you will want to remove it before consuming the curry. 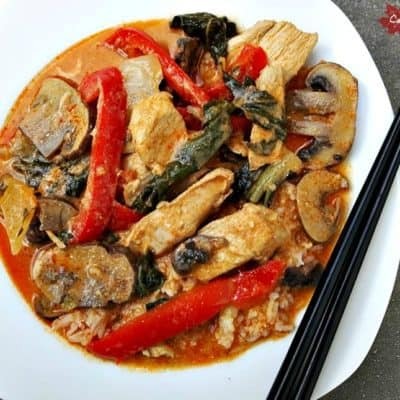 This Red Thai with Chicken could not be any simpler! 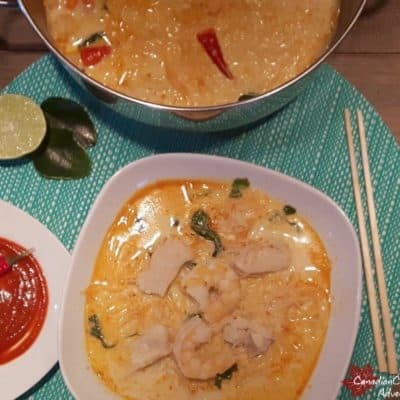 Do not eat the “Lemongrass”, “Galangal” and “Kaffir lime leaves” there just for flavoring, if you're going to use these instead of the Thai Red Curry paste, make sure to bruise each item before adding to the pot.